+ New Article from heartcoherence.com - Frank - PATTERN RECOGNITION IN Brainwaves. celebrates over 1 Million hits/month average in 06, over 16,000 recent views of our film library..
4. New- Article from Frank of heartcoherence.com - PATTERN RECOGNITION IN BRAINWAVES. 9. Another example of FRACTAL FIELD - self similar charge field -revolutionizing medicine..- note how Negative Ion Wind (a fractal field) radically sweeps infection and parasites from the body ( see: ref 1) -perfectly consistent with using fractality to measure ANY liquid's ability to support life ( ReDox Potential measure at goldenmean.info/healingphase ) and - measuring fractality in Air to find and measure life's electric signature ( see IGA at phaseconjugation link). 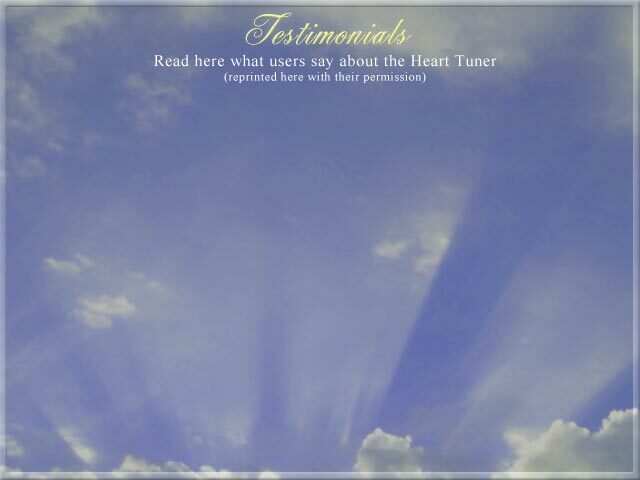 Mind, body, spirit INSIGHT - Healing Journeys ARTICLES - "Maury assists clients with the Heart Tuner, the latest in bio-feedback technology, in order to fully integrate their hearts in the healing process". "In my work, I serve as a mentor for those seeking excellence; in relationships, leadership, athletic performance, creative expression and spiritual development. As a Guide, I assist clients through life's major roadblocks - pain, illness; and traumatic events. I guide clients through the maze of the mind to the Truth that exists at that moment. Healing occurs when the inner Truth aligns with the mental emotional being. We call this "The Work". 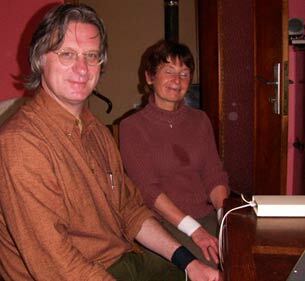 The Heart Tuner is a computerized biofeedback program which shows the music of the heart and opens the door to heart coherence. Heart Coherence holds the secret to mental clarity, physical health and heart-oriented relationships. When coherent, the biological heart, harmonizes the autonomic nervous system to create peace within. Simply observing your own heart harmonics expands consciousness. It is fascinating to observe the response of the heart to important questions. In counseling we use the Heart Tuner to identify issues that are calling for greater clarity and to confirm when that issue is resolved". ".. Keep up the good work, you continue to evolve a superlative product.."
offered here - with Support from the Inventor+ Training DVD's.. If you are interested in the new international online video conference call interactive VIDEO education with Dan Winter - from Implosion Group - or have questions about the HeartTuner/Blisstuner - or Books/DVD's - or have something important to say or ask... Just Click.. You can phone danwinter at SKYPE by just clicking(left), or US inward phone rings globally- 310 651 8123, or email danwinter@goldenmean.info , course calendar indicates where we are... (the click icon even says when we are on live phone)..
- Getting immortal- means getting SHAREABLE! 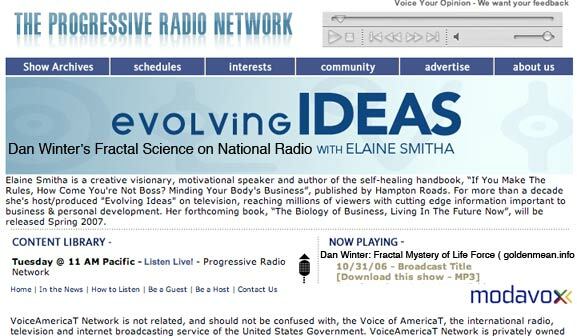 ..
NEW- Dan Winter- Oct National Radio Broadcast.Now ONLINE! Lastly- come along pictorially with Dan and Val on their recent fabulous Columbia Conference Tour.. The various patterns and rhythms in the EKG and EEG, and generally all biological fluctuations, when they are coherent, reflect the innermost harmonic principles of life in a measurable way. The basic concept is that the powerfull, sentient energies contained herein are not expressed directly, but instead in the form of a dynamic and sustainable interaction between life-force and self-awareness. Fig. 1- The traditional viewpoint of life manifesting in a material medium, is replaced by a universal medium with the intrinsic potentialities of life-force and self-awareness in (1). When the two touch, energy is created but first without direction (2 - this is the unlimited, unexpressed energy of the Vacuum). When the two principles start interacting in equipoise, life is created. In this viewpoint, life itself forms a unified field, whereas "matter" and "consciousness" are merely emerging concepts. The interaction between life-force (vitality) and self-awareness essentially forms a closed loop, and this idea can serve as a basic guideline for health and wellness. In a deeper sense it draws back on principles of life and creation in general as it works the same on all scales. medium, and in all created life. In practical life it means that emotional balance and balanced action are not only mutually empowering, but in fact mutually essential. That is, emotional coherence is a requirement for, and in fact the source of vitality, creating new horizons and the actual strenght for action. At the same time, coherent action is a prerequisite for, and really the cause of self-awareness (not the way round!) creating insight, pure intent and emotional strength. Self-awareness and vitality together give a comfortable feeling of being in control ("I am"), but this is really an effect of authentically and coherently engaging in action and emotion. the will for survival and desire for progress, benevolence and emancipation. This has certain implications in the fields of therapy, healing or coaching, evolving from (in many cases) primarily relaxation to pro-active engagement. Stress is the main cause of discomfort and disease and is usually attributed to external circumstances. However the moment we realise that both self-awareness and vitality are in reality universal resources we realise that the "cycle of life" may be bigger than our personality. Clearly, there is more to life than what is visible on the outside, and right these universal inner dynamics form the basis for interpreting the EKG and EEG patterns with the Heart Tuner. The role of biometrics is to make the inner harmonics of life visible in measurable form, e.g for reasearch or biofeedback. Therefore we need to understand how biological waves can function as a container and carrier for vitality and self-awareness. This is called "coherence". The "inner" fluctuations of life are essentially self-contained (reminiscent of the physics idea of "scalar waves", but more subtle) and medium-less, and therefore unmeasurable in a direct sense, but can e.g. mathematically be reproduced. The principle of "coherence" in its measurable form reflects vitality and self-awareness (like focus, empathy) both in the EKG and in the EEG, allthough in different ways. It is important to understand that the brain (i.e. central nervous system: brain and spinal cord) was never designed as a thinking apparatus in the first place, but as a mediator between "external" sensory-motoric world, and the inner micro-cosm of glandular activities and general homeo-dynamics (controlled by the peripheral nerves of the autonomic system, i.e. sympathetic + para-sympathetic). In evolutionary terms, this is its primary function whereas detached thinking came later. The brain relates to emotions and actions in a primarily cognitive sense. Likewise is the heart also a mediator between external and internal requirements, but primarily in a somatic-vital sense. However on the smaller scale, both have their own internal cognitive (self-aware) and vital aspects, like it is, as mentioned before, on every scale. This is what we look at with the Heart Tuner, resp. "Bliss-tuner" module for the brain. Nowhere is the inner principle of life better visible than in the heart, that's probably why the Tibetans called it the greatest juwel. Healthy HRV is commonly accepted as a predictor for longevity. In the Heart Tuner, we pay attention not only to the amount of HRV, but also to its actual shape. High HRV can be the result of arithmetic breathing which makes the autonomic breathing response of the heart stand out (Heart Math Institute call this "coherence"), but this is not at all an indication of optimal homeo-dynamics. As the HRV reflects the various vital interactions of the heart, we may assume that it is essentially chaotic. However in combination with the requirement of Internal Coherence, quite another pattern emerges, and this forms the basis of biofeedback with the Heart Tuner. This pattern of optimal HRV, or generally homeo-dynamics was discovered by prof. Ary Goldberger to be a so-called fractal. The Heart Tuner shows the HRV tachogram, spectrum and histogram. ICC is essentially a unique method of the Heart Tuner to quantify the amount of arithmetics in the HRV accurately and independently. HRV and ICC are measured simultaneously, and this way with the Heart Tuner it is easy to see "where you are" in your heart. Internal Cardiac Coherence was found to reflect the level of focus in the heart, we could call this "heart intelligence" or the cognitive aspect of the heart. It comes in the form of awareness-focus, empathy, a feeling of belonging and connectedness. Right these psychological states ("emotions" is not exactly the word) are a basis for bliss-process and are known to play a key role in our immune response. Cognition, like in the mental sense, means general adherence to a flow of similitude and recognition, not chaos. So, this aspect of the heart rhythm wants to flow regularly, which we call an arithmetic series. The Heart Tuner shows the amount of internal coherence in the EKG in one single graph by using a proprietary algorithm for "cepstrum" analysis. Fig. 4- The Cycle of Life in the Heart. Internal Cardiac Coherence has nothing to do with "regular breathing" practice, which as a matter of fact measurably reduces internal both cardiac coherence and fractality. Regular breathing only shifts the empathic and vital focus from the heart itself, to the breathing, that is, from the autonomic response to somatic control. This is the main difference between the Heart Tuner and for example the Freeze Framer of Heart Math Instititute, which is essentially a breathing trainer, measured through the heart. Natural heart rate, as shown by prof. Goldberger, like all in nature, moves around the edge of "order and chaos", that is here, perfectly arithmetic resp. completely chaotic. Nature's solution to satisfy both, is called "fractality", the way to have the most vital ànd "awareness" waves in one coherent package. This is called: Harmonic Inclusiveness. It can be demonstrated, for example with help of the "Cardiac Synthesizer" software, that when the HRV spectrum is fractal, this provides the base line for high HRV (vitality) plus high ICC (empathy focus, etc.) at the same time. This is how the Heart Tuner can be used to balance and optimise the real-life interaction beween life-force and self-awareness. In a deeper sense, we can say that a fractal pattern is the measurable container for life force in natural processes, whereas generally rhythms (a flow of similitude, regular series, repetitive patterns, generally all waves, etc..) are the measurable medium of self-awareness. It's like in the macro cosmos, vitality is an attractive force creating gravity, and this creates the energy of formation, but only when orbital movements emerge (repetitive series), a stable pattern is created. In personal life, vitality draws our emotions into the world, but only if we remain self-aware, by being thoughfull in our actions, we will develop a stable personality. The brain, because of the unique structure of the neural network, functions as a sort of inside-out model of the external universe. This is the essence of cognition. The actual cognitive "reward" which remains elusive for scientists and philosophers alike, lies in the fact that the brain reproduces the original creative harmonics of life out of external patterns. This includes firstly the analysis of mostly sensory input, and secondly the creation of an actual lifely reward. This is how a sound-wave is turned into the awareness of an actual sound (we never perceive the original sound wave or etc..!). This way, the biometrics of the brain as done with the "Blisstuner" module allows us a unique peak into the harmonics of life directly. As discussed with the heart, the measurable patterns of life are fractality and arithmetics (and all combinations of it). Mathematically it can be inferred that Golden Mean ratio (factor 1,618) is the natural attractor optimising fractality, whereas Octave ratio (factor 2) is the attractor of arithmetics. It was demonstrated by prof. Korotkov that blind (-folded) children who were entrained to produce Golden Mean ratio peaks, were able to reproduce random pictures on a screen. The current understanding is that Golden Mean ratio's in the brain are associated with bliss, and octave with telepathy. 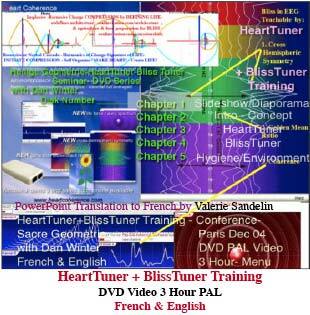 The Blisstuner detects and elegantly rewards (through sound biofeedback) Golden Mean resp. Octave ratio's between the major Alpha and Beta peaks in the EEG. The underlying idea is that neurons by themselves produce regular pulse-streams (i.e. arithmetics, Octave oriënted) whereas (momentary) networks produce fractal patterns (Golden Mean oriënted). Normally, both effects are mixed up so that the usual EEG cannot be quantified. But if thoughts or perceptions are highly coherent, for example as a result of entrainment, the bulk of neurons acting in unison will produce a directly measurable effect. actual sound perception. We never perceive the waves themselves. fractality or arithmetics, but instead the harmonics of life directly. Traditional paradigms for wellness in a therapeutic etc. setting are often centered around a theme of relaxation or retreat in some form or another. This is logical as one of the main reasons for discomfort or disease is stress, and stress is commonly perceived as being created by the environment. To some degree, also the traditional eastern (yogic etc.) practices adhere to this way in the sense that its practitioners were inclined to hide away in Himalayan caves (often literally) to cultivate their bliss process. With the current trends of shareability, globalisation, advancing sciences and environmental challenges, this is no longer the ideal, and also in the western hemisphere we see a still increasing pro-active attitude toward wellness related issues. This means: authentic engagement (socially, professionally, etc. ), allthough the imminent by-effect is ongoing emotional challenge. This new paradigm of wellness may put some pressure on individuals at first and therefore it is of cardinal importance that a proper therapeutic or coaching concept and -environment is being offered. With the above in mind, this means the teaching and entraining of Harmonic Inclusiveness. In this context, the practical implementation involves developing a mind-set and life-style focussed on maximum engagement with at the same time optimum self-awareness. This is clearly not a "competence" or "performance" issue. Normally, the more a person is engrossed in his or her daily activities, the "lower" the sense of self-awareness is, at times creating the rather awkward feeling of "being lived". As we saw earlier, "self-awareness" is a facilitated, emerging effect, allthough it indeed creates the rather pleasant feeling of being in control. So, you should give up the idea that you can litterally control a situation, and replace it with the concept that instead you merge with it for your mutual benefit, and this requires a far more complete engagement than only analytical. Here lies the real "competence". The initial step is the developing of emotional coherence. That is verily, creating the proper, authentic, intricately positive and constructive emotional patterns. As seen in the diagram, this will prove the fertile bases for renewed vitality, creating new horizons and strength for action, way beyond a mere psychological idea. Next is, the development of coherent actions, that is, only those fully in tune with the new-found emotional coherence. This will help creating new focus, clarity and pure intent and as a result also emotional strenght. An initial effort is required, which really entails the painfull departure of old, less harmonicallly inclusive, emotional patterns and activities. We believe that all emotional patterns and activities are essentially archetypal, thus all-round coherence can be "composed" like music - the music of Life. This process, when it becomes more one-pointed, naturally engages the deeper, yet more powerfull layers of the mind and the actual jump into a spontaneous and more permanent, harmonically expanded base-line will thus ensue naturally. This, in short, is a therapeutic and coaching approach to sustainable wellness based upon the newest insights in the interaction between life-force and self-awareness. In traditional philosophy and intuitional (e.g vedic, yogic) sciences, the coherent (electrical) emissions of the nerve centres controlling the major endocrine glands were intuïtively visualised as "cakra's". Each cakra is related to a specific set of so called "vrttii's" (emotions, or more precisely, mental propensities). At the same time each cakra is thought to be associated with the "elementary factors" (trad. "earth", "water", etc..) and a corresponding sensory plus motor organ. In evolved species, the cakras resp. glandular systems are not connected to sensory or motoric activity directly. Instead, the mediating networks have combined to form the central nervous system, that is, the brain plus spinal cord. Therefore, the brain is primarily understood as the natural, central mediator beween external senso-motor- and internal glandular activity and general homeo-dynamics, and not as a thinking machine in the first place. Each cakra resp. glandular centre is thus controlled through the peripheral nerves of the autonomic nervous system, extending from the cervical, thoracic and lumbar portions of the spine. In the yogic vision, the cakra's are controlled by the so called "pingala" (activating) and "ida" (relaxating) channels (in or near the spine), which appear to correlate with resp. the sympathetic and para-sympathetic portions of the autonomic system. According to the yogic viewpoint, if in a cakra the two energy-flows are in perfect equipoise (not at all meaning: shut down), no net energy is expressed as "vrtii's" (emotion) any longer and this indicates an evolutionary step, meaning that the lower energies are now harnessed and available for a higher purpose. The sumtotal energies at one point as they are present though unexpressed (self-contained) are collectively known as "kundalinii", a principle which is reminiscent of a physics principle known as phase-conjugation (scalar waves), and serves as the transporter of "vacuum energy". In our new understanding, the relatively mechanistic idea of scalar waves is replaced by the more advanced concept of coherence as per above diagram. Thus, the inner glandular controlling mechanism is complementary to, and in fact a micro-cosm of the senso-motoric reality, in higher species mediated by the evolved brain. In other words, "as above, so below". This clarifies the intuïted correlation of the "cakra's" with the "elementary factors". Hence, in yogic schools, the most primary teaching is that, in order for our emotions to be in balance, our actions must be in balance as well. It is verily the cornerstone of all moral discipline. However, yogic science itself has never effectively clarified the relation between senso-motoric inferences and mental propensities directly, that is, in other than psycho-philosophical terms as it is bearing heavily on the personal stance and inner experience. Therefore, allthough very shareable in a personal setting, it is less suitable to function as a truly scientific interface. The actual "vacuum fluctuations" resp. vacuum coherence fields which are thought to constitute the inner physics of life and all creation are usually not directly measurable but are mathematically reproducable. "Vacuum Coherence Physics" (VCP) is based upon harmonic, not on thermo-dynamic (belligerent) wave-interaction, forming geometric patterns (so-called "non-linear" physics). These geometric patterns were intuïtively seen and referred to in the more advanced spiritual philosophy of creation. They are the cause of the "non-locality" of life force and self-awareness (e.g. 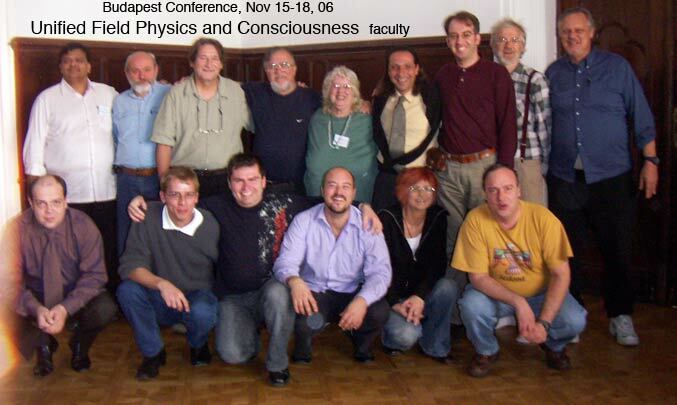 empathy, telepathy) and in the material world also the cause of gravity and inertia, the strong and weak nuclear forces and possibly "super-symmetry" in particle physics. 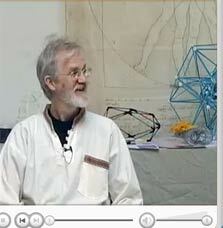 The eternal flux of these geometries, endlessly being created and destroyed, is the primordial state of the Vacuum. This highly potential state is referrend to as "homomorphic evolution" i.e. there is no net effect. Its two most articulate inner figures are: Golden Mean ("Phi", 1.618..) based geometries, forming the attractor for fractality in the mechanical world, and Octave based geometries, which is the non-linear equivalent of general arithmetics or similitude. Its inner dynamics, regulating in all life in the universe, is called "symmetry operations" and it is the universal path-way out of chaos. 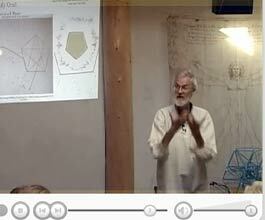 It's shared figure, forming the centre piece of all manifestations, is the triangle (resp. the tetrahedron in three dimensions). In its macrosopic manifestation, the Vacuum-flux exists in a state of "homogenesis" (auto-creation). This is a state of increased coherence among vacuum fluctuation. The emerging, actual "energy" flows of life force and self-awareness are entirely self-contained (self-referring or recursive) and therefore have no net measurable effect. These are various activated forms of the "vacuum energy" (also called zero-point energy, etc..). Only because of this, life is grossly insensitive for electrical or magnetic fields which can be many times greater then its own. The combined emerging figures of life-force and self-awareness are poised in dynamic equilibrium. They are potentially infinitely attractive resp. expansive. But as they are essentially opposed, this way they prevent one another from self-annihilation. The primarily resulting form is a (sine) wave (resp. photon in physics), and in due time more complex patterns emerge. The archetypal shape of the dual flows of vacuum energy is the toroid (torus), combining a rotational and a toroidal movement in one single figure. In the words of Dan Winter: it is the one shape nature can remember. There exists a one-to-one geometric relation between the underlying tetrahedral symmetry operations and the toroidal map of sentient energy flows. The Vacuum Coherence Physics model adheres to the so called "Bootstrap Conjecture" in contemporary physics, which means that creation is its own inner cause. In slightly philosophical terms it means that an existential flow is always imminent (i.e. in the vacuum) but the moment it arises it substantiates into inertia. The spectrum of happy balance between the two is the inner receipe of all sustainable creation, which is practically life. natural rhythms are the fundamental bearing of conscious existence.